For yourself or as a gift for a gardener. This sturdy seed storage box will keep your seeds dry and free from pests. What’s more, this great storage box has monthly dividers to keep your seeds organised into the right sowing months. 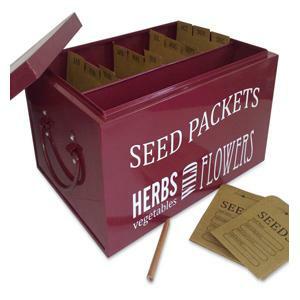 Constructed from steel and powder coated in an attractive colour we think this seed box is a great buy.